Presentation: Number pages consecutively. The full title should be followed by the full name of all authors, the names and addresses of their institutions, telephones, and email addresses. Abstract and keywords: Include an abstract of about 200 words and list of keywords. Figures: Either incorporate the figures into the text or indicate their place in the text. Figures should be clear and the lettering legible and proportional to the size of the figure so that reduction is possible if necessary. Figures will appear in color online and in the final PDF. Please submit all figures in high resolution and without frames around them. Figures, photos, illustrations, schemes and graphs should be referred to in the text as figures and numbered consecutively throughout the paper by Arabic numerals. References: References must be identified by Arabic numerals (e.g. 1, 2 etc. ), numbered consecutively in the order in which they are first mentioned in the text (between square brackets) and listed at the end of paper. 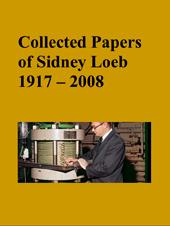 Articles in journals: S.W. Lee, S. Sarp, D.J. Jeon and J.H. Kim, Smart water grid: the future water management platform, Desal. Water Treat., 55 (2015) 339–346. Chapters in books: M. Mickley, In: M. Wilf, Guidebook to Membrane Desalination Technology, Balaban Desalination Publications, L’Aquila 2007, pp. 375–389. 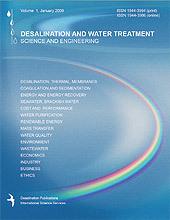 Books: H. Strathmann, Ion-exchange Membrane Processes: Their Principle and Practical Applications, Balaban Desalination Publications, Rome, 2016. Tables: Cite tables in numerical order in the text using Arabic numbers. The table headings should be as follows: Table 1, 2, 3. Each table should have a descriptive title. List of symbols: A list of symbols is required if equations are used. English: Please ensure that your paper is well presented in logic and good English. Publication fee: An invoice for €120 will be sent upon acceptance. Open Access (OA): OA is a system where after acceptance the published paper can be read freely by all readers. Authors pay the OA fee of € 750 to the publisher. This then replaces the publication fee of €120.